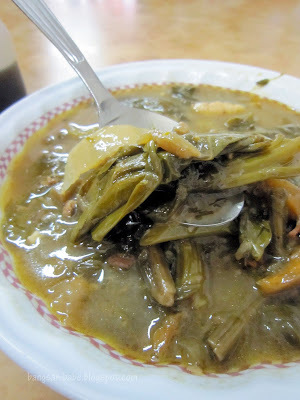 Ask me what to eat in Taiping two weeks ago and I would have given you a blank stare in return. I’ve never been to Taiping until recently, when rif decided to visit this small town for a mini food adventure with a few of our friends. Wan Li Restaurant was our first stop, for some Hainanese chicken chop. 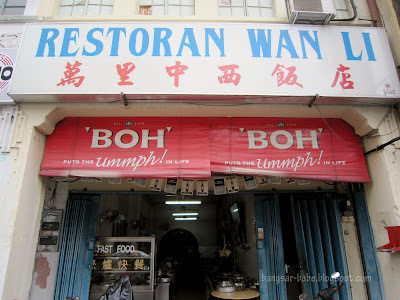 My first impression of the place wasn’t a good one – everything was rundown and I didn’t see anyone eating any Hainanese chicken chop or pork chop. Most of them went straight to the mixed rice stall. I had my doubts. “You sure about this place?” I asked rif, He told me to trust him, so I did. Each of us ordered the chicken chop (RM7.50) and were told to wait for about 30 minutes. 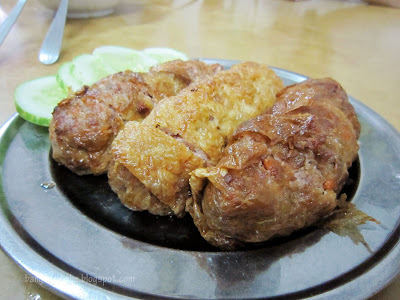 Hungry, we ordered a plate of Hainanese spring rolls (RM2.50 each) to share. These were pretty good – the rolls were generously filled with minced meat, carrots and sengkuang. The auntie re-heated the rolls in the fryer, so they were served hot and crispy. I decided to try my luck with the mixed rice section, and got a bowl of choy keok (RM3) to share. A pity this was already cold, for this spicy and sour dish would have been delicious when eaten hot. Especially during rainy days. All in, lunch was pretty decent. 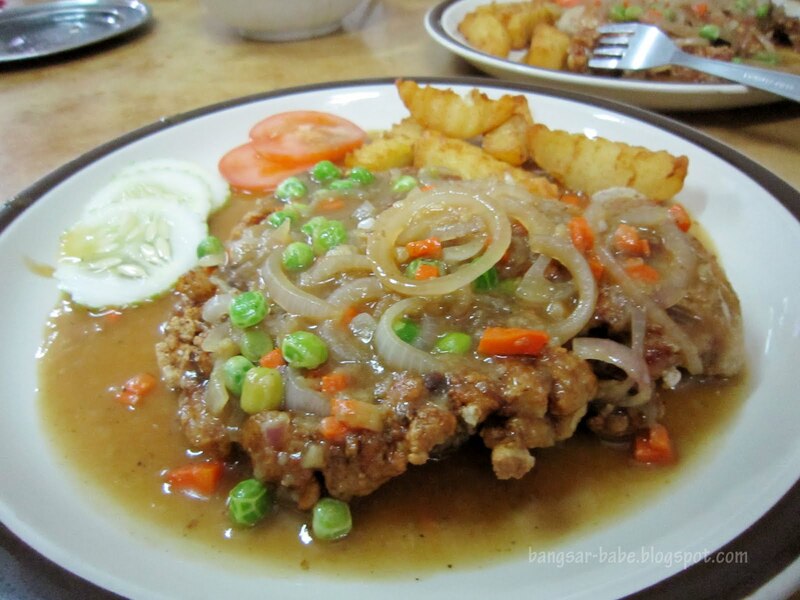 I wouldn’t say this chicken chop is worth going all the way to Taiping for, but if you’re around the area, there’s no harm giving this place a try. Verdict: The food was decent, portions were fairly large and prices were affordable. As an update, WAN Li just closed down in its place ia a new Thai restaurant named Little Taiping. Thank you for the update. 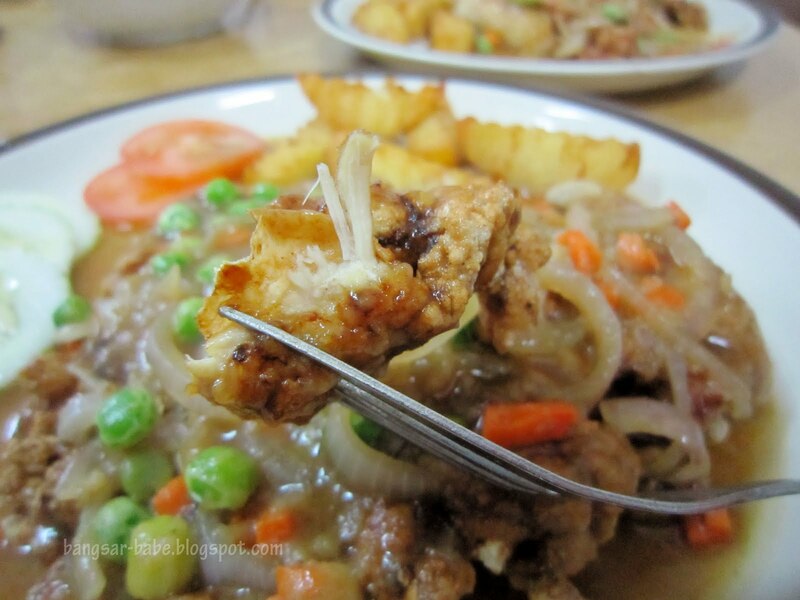 Have you tried Little Taiping? iamthewitch – Wahhh….RM5?! That's cheap!! KY – Yeah…it does have the old school charm. Hey! But seriously, Wan Li's better than Yut Sun. Though the latter's more famous, as they're pork free. Hence you can see some Muslims eating there. Wan Li's coffee was good, as far as I remember. 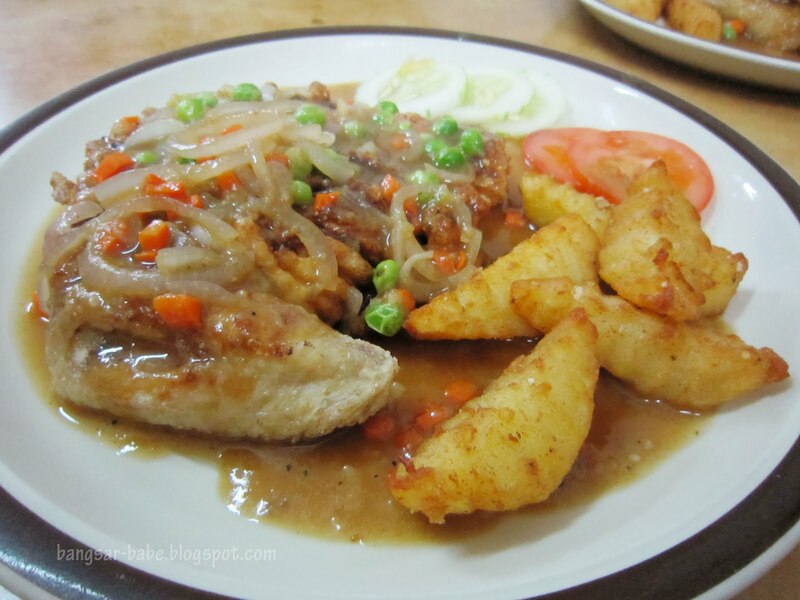 I prefer Wan Li's chicken chop. 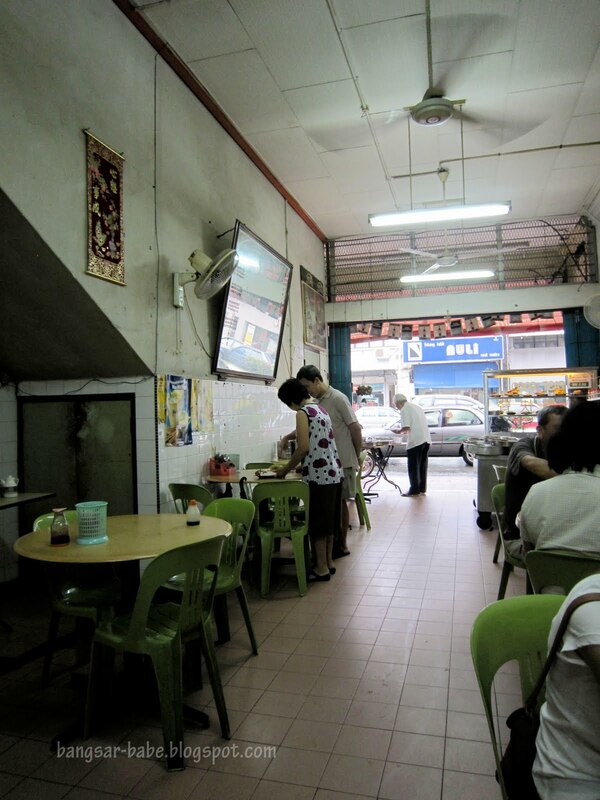 If you were at Taiping during breakfast time, I would recommend the toasted bread and egg @ Lian Thong Restaurant.